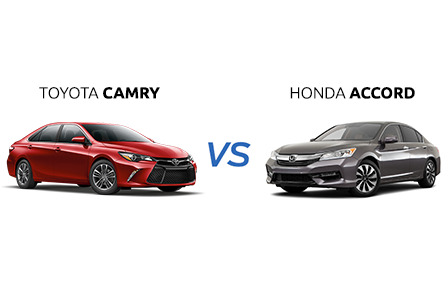 When it comes to Long Islander’s preferred choices for midsize sedans, two of the most popular options are the Toyota Camry and the Honda Accord. Most drivers look for things like safety, comfort, and affordability when shopping for a new set of wheels – things that the 2018 Toyota Camry (and, to a lesser extent, the 2018 Honda Accord) is more than capable of tackling. Going a step further, picking out your new ride is more than just shopping for what you think looks good, and when it comes to picking between two of America’s favorite sedans, it’s going to be a tough choice. Here at Westbury Toyota, we strive to make finding the right new vehicle for you as easy and as painless as possible. Being helpful is a large part of what we stand for, and that’s why we want to offer you some words of wisdom to help you along with the car buying process. Matching people with the car of their dreams is our job and we take great pride in it, so read on to see what we can do to help you learn a little about the upcoming 2018 Toyota Camry, how it stacks up to the competition, and why it deserves the top spot on your list in terms of potential future automotive purchases. It doesn’t matter if you’re shopping for a family sedan or the perfect car for a solo journey – safety is the most crucial part of any vehicle. Some dealerships tend to gloss over the important safety aspects of a model in favor of the flashier details (technology, special editions, vanity additions, etc. ), but any driver looking to buy new should always keep safety features at the very top of their checklist. However, the 2018 Camry breaks parity and rises above the competition by also also offering up a one-year subscription to Toyota Safety Connect; a service that gives drivers access to additional features that can make all the difference in the event of a collision or some other kind of accident. Both the 2018 Camry and Accord sedans boast specs impressive enough to pique any gearhead’s interest. Motortrend’s Zach Gale put together a comprehensive spec comparison that makes it evident just why the Camry and the Accord are such popular rivals – and why the 2018 Camry is poised to continue Toyota's tradition of offering Westbury drivers more bang for their buck than the competition in regard to power, performance, and efficiency. The 2.5 liter (L) I-4 base engine for the 2018 Camry puts out 203 horsepower (hp) at 6,660 revolutions per minute (rpm) in most model trims, and also gives drivers 184 pound-feet (lb-ft) of torque. In comparison, the 2018 Accord gives 193 hp at 5,500 rpm with a 1.5 L supercharged I-4 engine. These kinds of specs are impressive for midsize sedans, and if you’re the kind of person who likes knowing that there’s power under the hood, the extra oomph that the 2018 Toyota Camry provides over this rival should be right up your alley. Fuel economy is another prime concern for virtually all of Long Island's drivers, and it’s a factor that we take pretty seriously here at Westbury Toyota. As Andrew Krok of CNET's Roadshow blog reports, the fuel economy estimates for the 2018 Honda Accord unfortunately aren't out yet. However the estimates for the 2018 Toyota Camry are, and with 28 miles per gallon (mpg) for highway driving, 39 mpg in the city, and 32 mpg combined, it's safe to say that Honda will be hard pressed to match (let alone beat) this type of efficiency – especially once you realize that the standard 2017 edition of the Accord could only muster up 27 mpg in the city and 36 mpg via highway driving during its production cycle. Picking a car isn’t as easy as pointing at the one that looks the best; it’s a matter of convenience and your own personal preferences. It’s also a matter of affordability, and that’s often the factor that’s most important to people. Affordability isn’t just the overall cost of the car – it also takes into account fuel economy and the amount of safety/technology features you get for the price you pay. From this perspective, there's really only one conclusion that you can draw when comparing the 2018 Honda Accord to the upcoming 2018 Toyota Camry: If you want to maximize your time spent on the roads of Westbury and the rest of Long Island, then it's time to step beyond lesser options and embrace all that the 2018 Toyota Camry has to offer to discerning drivers. Naturally, it’s safe to say that at Westbury Toyota we’re a little biased when it comes to comparing Toyota to other brands. Even so, the numbers and the early reviews we've covered here with you say more than enough about just what a great car the 2018 Toyota Camry is going to be, and why now is the time to connect with our team of trusted experts to see how you can drive home in one of your own!